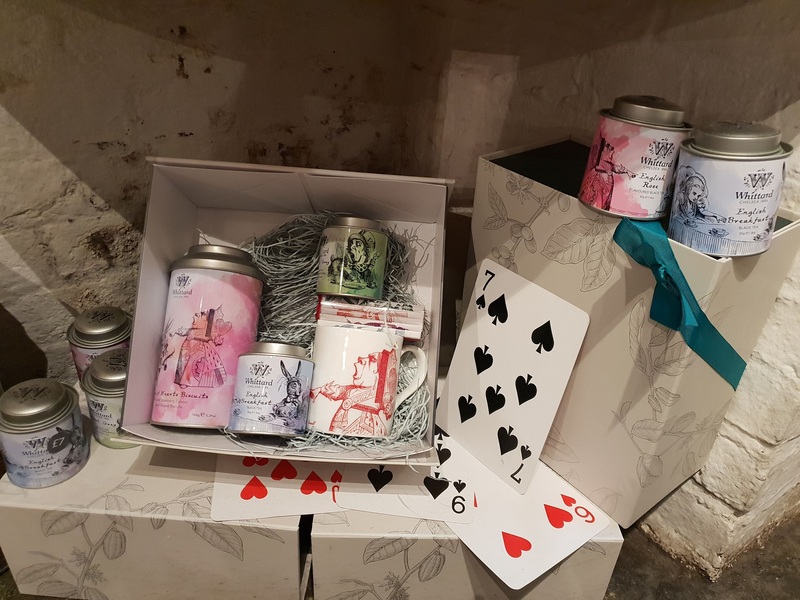 Mother’s Day is approaching fast – are you sorted yet? 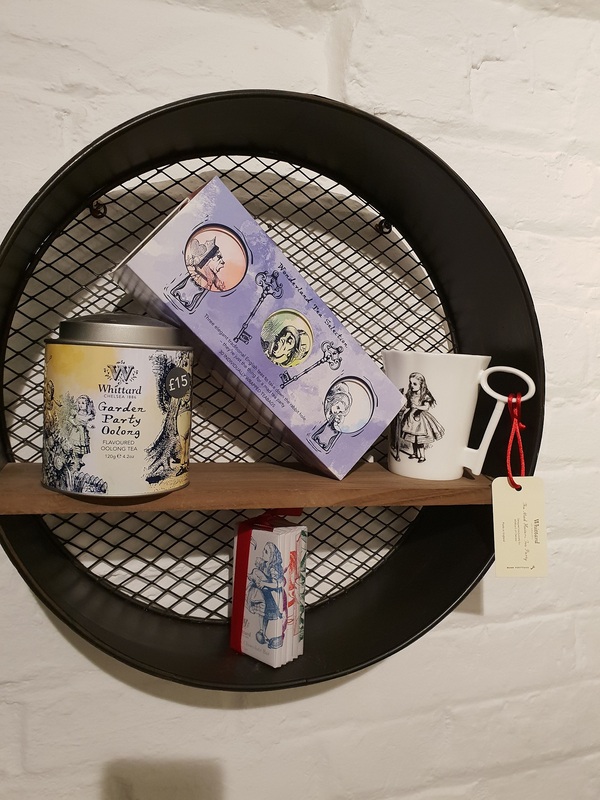 If you still need some ideas – have you thought about having a lovely afternoon tea with your mum or mother-figure or how about some a beautiful tea set from Whittard of Chelsea? 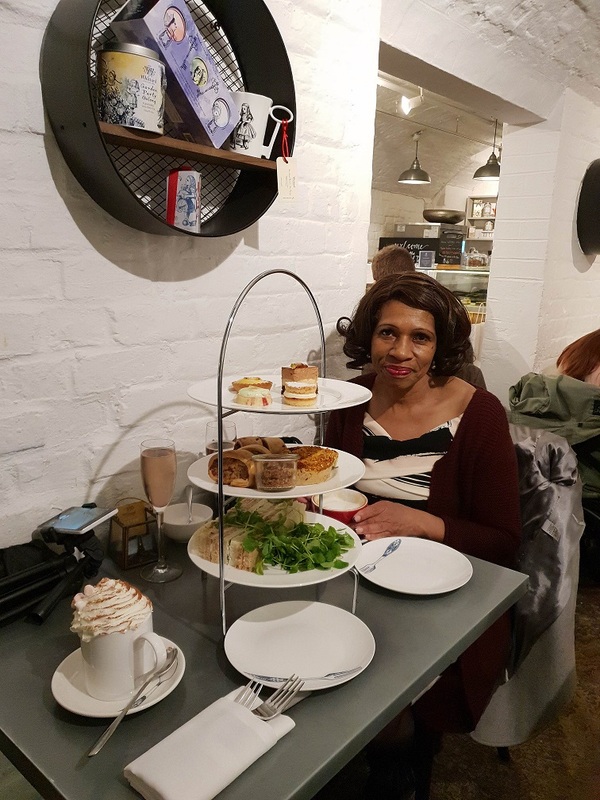 Last week , I was kindly invited to experience a Whittard of Chelsea Afternoon Tea at the Covent Garden Tea Bar with my mum. On arrival we received a warm welcome from the staff and were given a selection of the available to choose from. 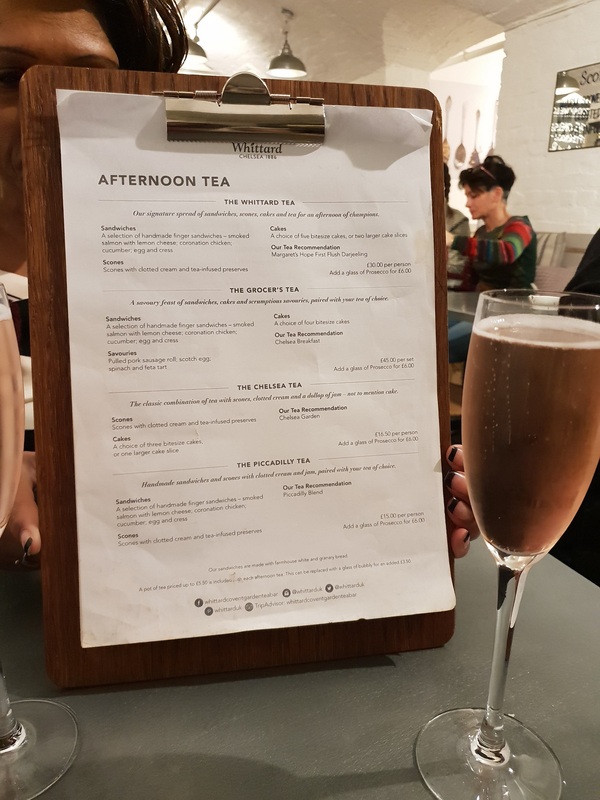 It was fairly busy, considering we booked for 5pm on a Tuesday afternoon and I’m pretty sure that lunchtime is the busiest time of day for “Afternoon Tea”. 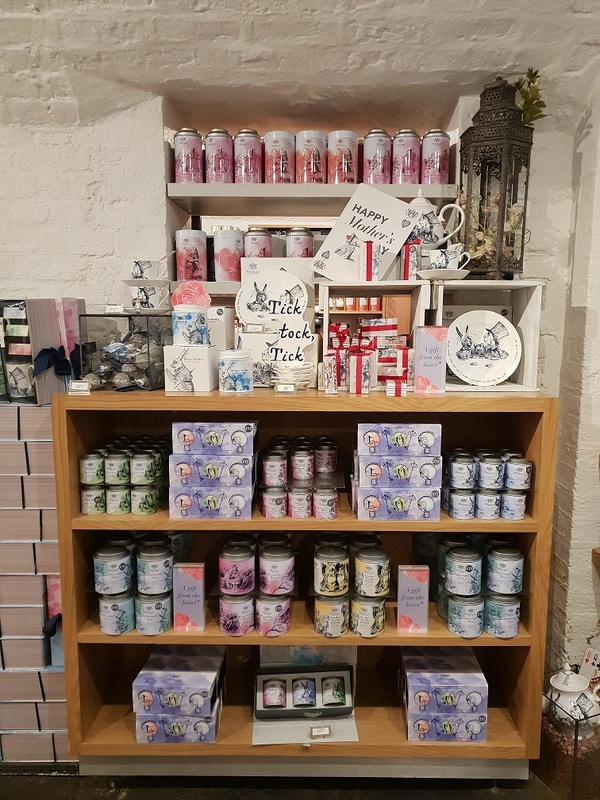 We chose a lovely table for 2 by a side wall with a beautiful display of Alice in Wonderland Tea range, complete with a matching mug and other accessories. 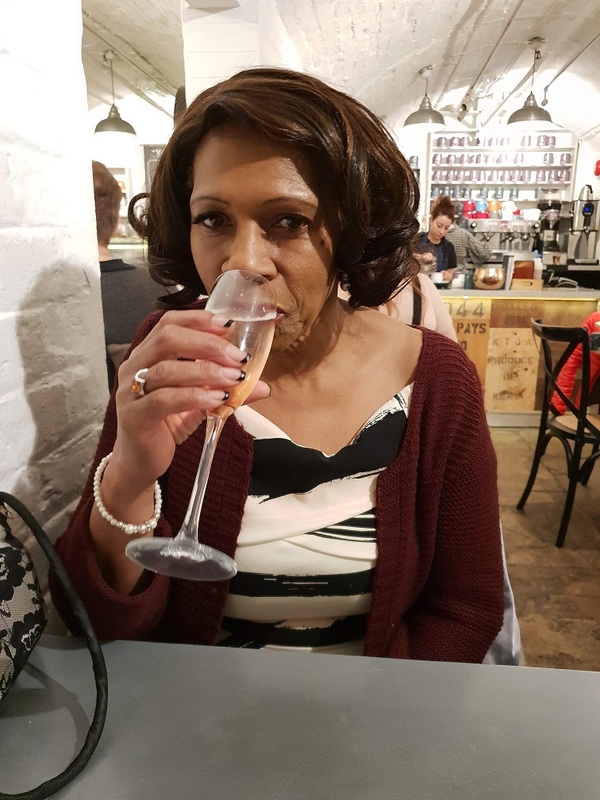 Those who know me, know that I don’t drink alcohol at all, but I had a sip of the strawberry prosecco and could not stop sipping! 😂 – It’s too good. You must try it if you pop in. Enjoying Strawberry tea infused Prosecco! 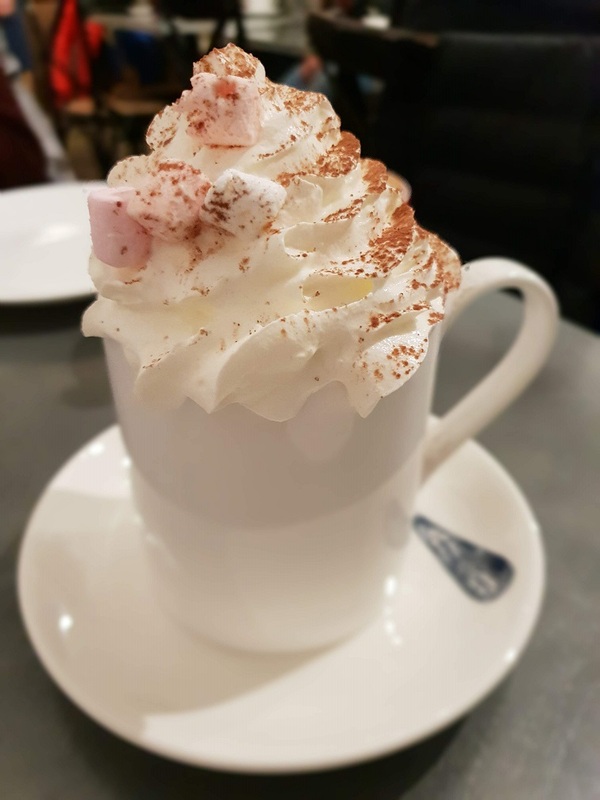 After our welcome drink, we had a choice of hot drinks from the menu, my mum chose a coffee and I selected a salted caramel hot chocolate, as I was intrigued to compare it to my favourite hot chocolate brand, Cadbury’s. I was asked if I wanted whipped cream and marshmallows and even though I know it can be a messy thing to drink in public – I couldn’t resist + it’s so instagrammable! My amazing Salted Caramel Hot Chocolate -Found my new favourite hot drink! Then, the main course arrived and to be honest we didn’t know how we were going to eat it all! There is a vast selection of sandwiches and treats and to be honest as it was 5pm, I’d already had lunch, so wasn’t overly hungry, but we ate what we could and sampled the rest via a take-home box (doggy bag) that they kindly offered. 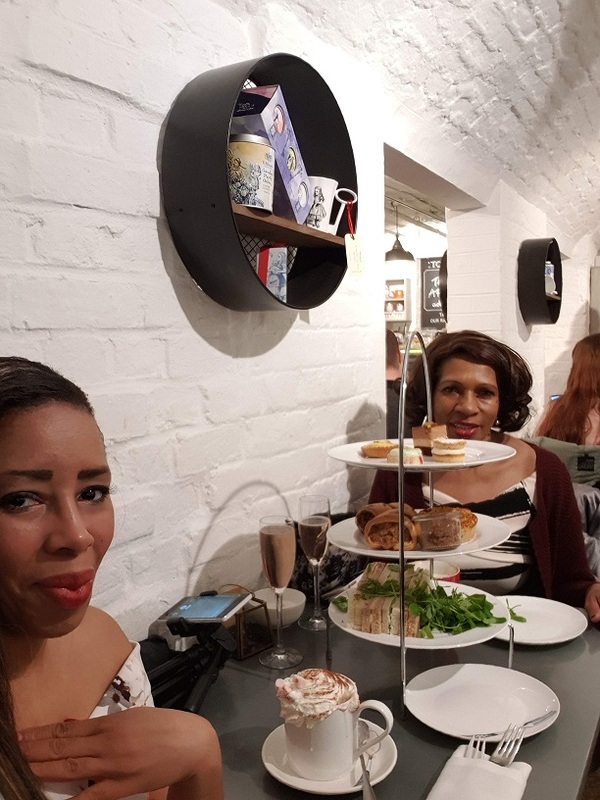 The staff were friendly and caring, asking if we had any dietary requirements or allergies and were attentive enough throughout the meal to call for assistance but not hovering around constantly to give you some privacy/space. It was the perfect balance. 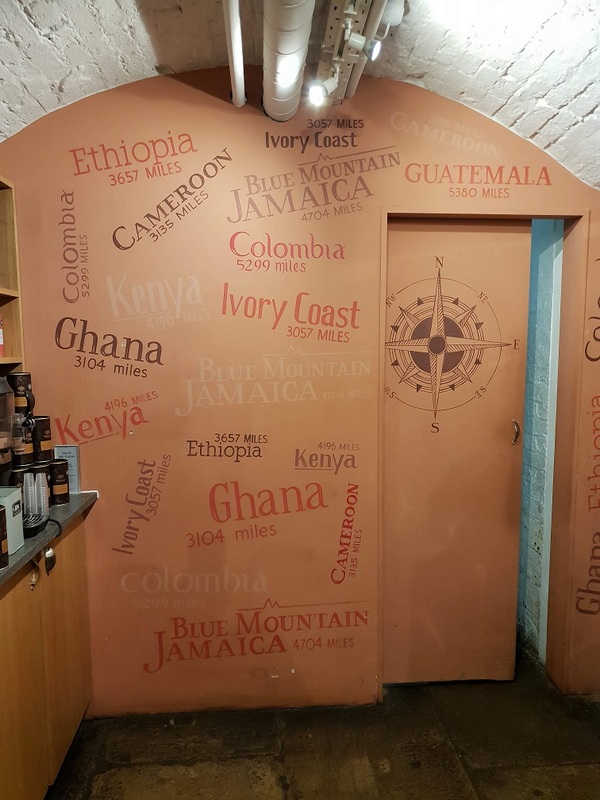 After the afternoon tea we went exploring in the retail section and I checked out the various tea and coffee available from around the world and the current Mothers Day range. 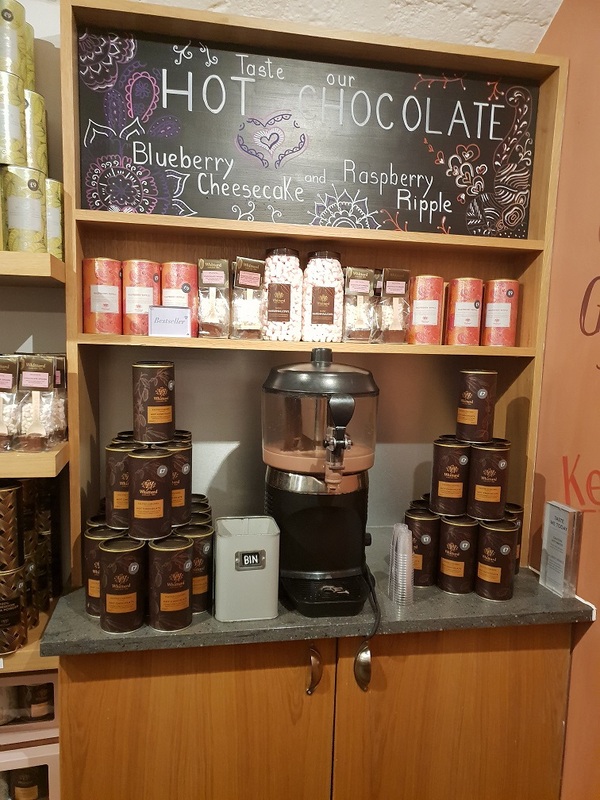 Of course I explored the various hot chocolate flavours in store, too..
There’s even a hot chocolate to go service, which I know I will be making use of many times in the near future – this place is such a hidden gem! We were also given a choice of travel mugs and tea to take home in a goody bag which I will review in a future post. 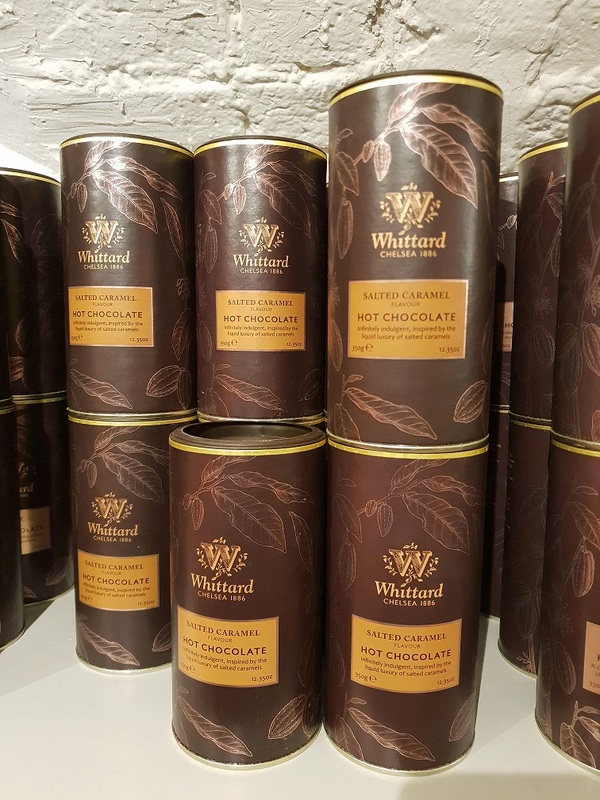 Obviously, it’s hard to not to indulge on a bit of retail therapy when surrounded by so many pretty and yummy sounding things, so, I bought the salted caramel hot chocolate, as I couldn’t resist and I was given a kindly discount. If you fancy treating your mum or mother-figure to an afternoon tea, it’s not too late to book a table before the big day. 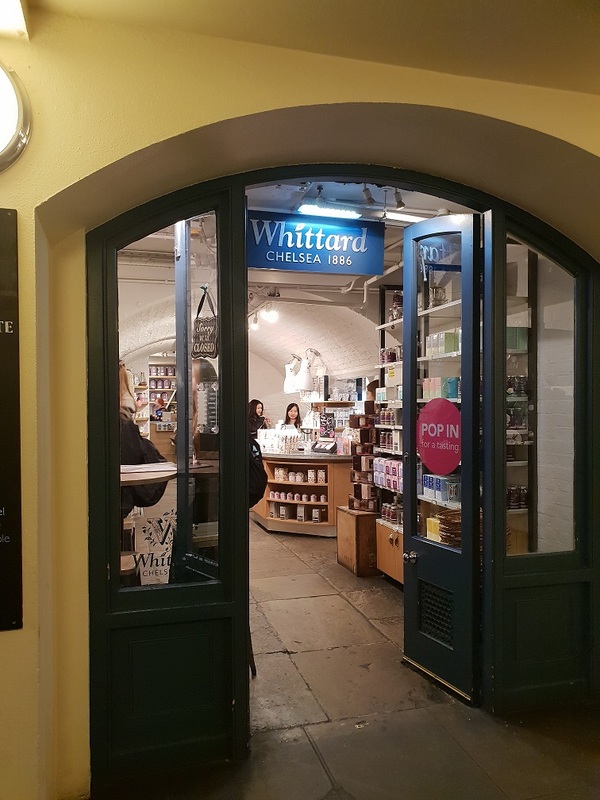 The tea room I attended is the Whittard of Chelsea Covent Garden Tea Room – Click the link to book now. Thanks so much for reading and Happy Mother’s Day!